Dr. Eben Alexander of Harvard medical school says there is evidence that Heaven exists. Alexander was once a skeptic, but now believes. As a neuroscientist, he held the position that so-called "near death" experiences were part of a mechanism in the brain that helps someone cope with death. The brain when deprived of the senses begins to create realities within itself. It begins to hallucinate, no one really knows why. An experiment was done with a man in a tank who was deprived of his senses. The man began to sense another reality, if you will. His mind seemed to have created some kind of virtual reality within itself in order to cope with sensory deprivation. "There is no scientific explanation for the fact that while my body lay in coma, my mind-my conscious, inner self-was alive and well. While the neurons of my cortex were stunned to complete inactivity by the bacteria that had attacked them, my brain-free consciousness journeyed to another, larger dimension of the universe: a dimension I'd never dreamed existed and which the old, pre-coma me would have been more than happy to explain was a simple impossibility. But that dimension-in rough outline, the same one described by countless subjects of near-death experiences and other mystical states-is there. It exists, and what I saw and learned there has placed me quite literally in a new world: a world where we are much more than our brains and bodies, and where death is not the end of consciousness but rather a chapter in a vast, and incalculably positive, journey." Scientists have often explained near death experiences as the brain hallucinating or dreaming while under duress. Experiments were even done and shown this to be true. People do see things and experience "reality" while in a comatose state. However, in the case of Alexander, his neurons were inactive. The subjects in the experiments had healthy working brains which were fully functioning even while in a comatose state. As we know, without activity in the neurons, we cannot experience anything or even think. It would be like a computer without a processor. The processor is what sorts the data out and presents it on the screen. Moreover, other cases of near death experience accounts were given by people who were legally brain dead. In this state, it is impossible for the human brain to develop new memories. Since this is the case, how did these people who somehow recovered from this brain dead state have any memory of anything after the incident that got them in that state? Surprisingly, many academics are accepting Dr. Alexander's story and are looking forward to researching it more. "Toward the beginning of my adventure, I was in a place of clouds. Big, puffy, pink-white ones that showed up sharply against the deep blue-black sky. Higher than the clouds-immeasurably higher-flocks of transparent, shimmering beings arced across the sky, leaving long, streamerlike lines behind them. A sound, huge and booming like a glorious chant, came down from above, and I wondered if the winged beings were producing it. Again, thinking about it later, it occurred to me that the joy of these creatures, as they soared along, was such that they had to make this noise-that if the joy didn't come out of them this way then they would simply not otherwise be able to contain it. The sound was palpable and almost material, like a rain that you can feel on your skin but doesn't get you wet." I find Dr. Alexander's story interesting and will be getting a copy of the book. I am not not endorsing his book nor his experience by showing interest in it. If it contradicts revelation, then obviously something is wrong and it must be thrown out. As an Atheist, I too did not pay much attention to the "after life." To anyone observing, death seems permanent. A glance at any cemetery would seem to support this observation. However, when one sits down and thinks, one will begin to question "what happens next?" Since man has existed, this question has always come to mind. The VMAT2 gene also proves that we are wired to seek God and the supernatural. Life in the sense Atheists paint it makes no sense. We are conceived, learn things, love and die. What a waste of matter and energy right? There has to be more otherwise why the development of morality in the human brain? Why the development of love? Why the development of consciousness? If we are just animals struggling to survive a life that will eventually end into oblivion, what's the point? It is like studying hard in school earning A's and graduating top honors to then disappear after you step off the stage with your diploma. There has to be more after death. 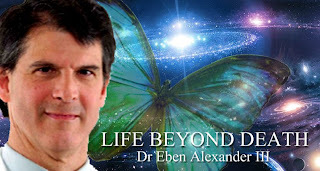 Alexander’s book and publicity campaign have been criticized by scientists including neuroscientist Sam Harris who found his account “alarmingly unscientific” and who has written that “Everything — absolutely everything — in Alexander’s account rests on repeated assertions that his visions of heaven occurred while his cerebral cortex was “shut down,” “inactivated,” “completely shut down,” “totally offline,” and “stunned to complete inactivity.” The evidence he provides for this claim is not only inadequate — it suggests that he doesn’t know anything about the relevant brain science.” "Even in cases where the brain is alleged to have shut down, its activity must return if the subject is to survive and describe the experience. In such cases, there is generally no way to establish that the NDE occurred while the brain was offline." 2) Sam Harris is a contrarian and is known to state the contrary even when evidence is against him. 3) Alexander was the patient involved, therefore no one knows better what happened with his health other the himself and his doctors. Others can only speculate. 4) Alexander is of Harvard Medical school. They do not hire quacks. 5) Neither Harris nor Alexander's critics address the creation of new memories in this state.